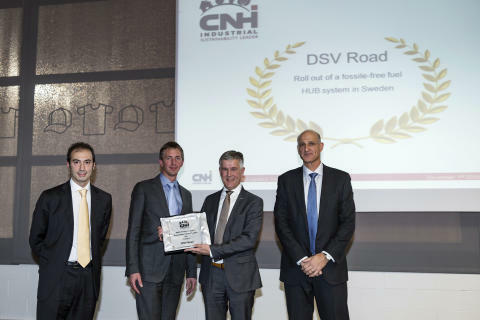 CNH Industrial has named DSV "Sustainability Logistics Supplier" of the year at their recent supplier conference. 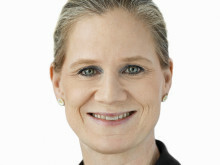 "Our active environmental efforts and comprehensive investment in renewable fuels are intended to ensure that we meet our clients' increased demand for sustainable logistics at the same time as we are contributing to a better environment. We are very happy to receive this recognition of our environmental work in Sweden," says Magnus Malmqvist, Managing Director, DSV Road AB. CNH is a large multinational company and parent company of the truck manufacturer Iveco, and the award is a great tribute for the Swedish operations that have switched to biofuel HVO100. The biofuel project is expected to result in a total reduction of 50% equivalent to 30,000 tonnes CO2 emissions in our entire Swedish network. HVO is Hydrogenated Vegetable Oil (and animal fats) - which is an advanced bio-fuel and thus synthetic diesel made 100% from renewable sources. From well to wheel, it reduces CO2 emissions by 90% compared to fossil fuels. Other emissions (CO/HC/NOx and particles) are 20-60% lower compared to normal diesel.